As a 24-year-old freelance reporter in 1998, Ken Li had no idea that his articles about urban drag racing in New York City would get optioned by Universal Studios, much less turned into 2001's "The Fast and the Furious," starring Vin Diesel, Paul Walker and Michelle Rodriguez. But the stories he wrote about a 30-year-old Dominican drag racer named Rafael Estevez -- first in the New York Daily News and then in Vibe -- were so gripping that they became the seed for a 14-year-long movie franchise that would end up grossing about $2.3 billion worldwide. 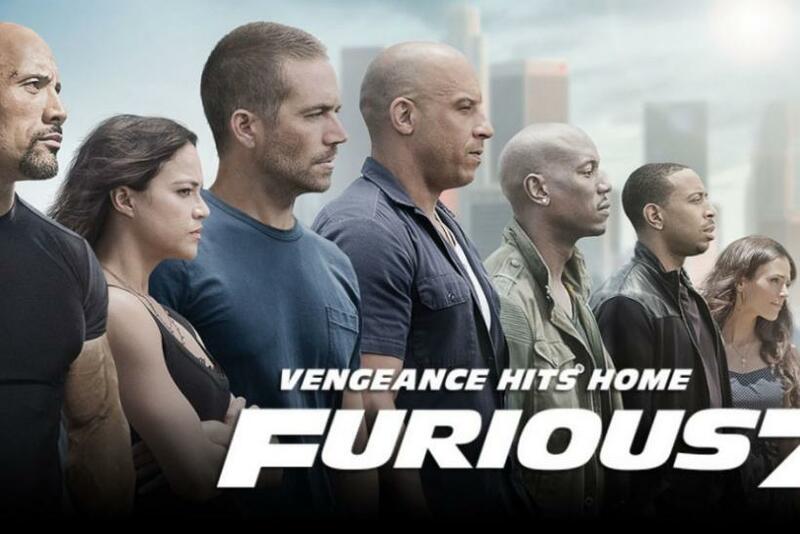 "Furious 7," the last movie Paul Walker made before his tragic death in a car crash in 2013, opens April 3, and is expected to break box office records by grossing $115 million in North America alone, according to Hollywood Reporter. Now the editor-in-chief of tech site Re/code, Li talked to International Business Times about the experience of having an article spur a global cultural phenomenon, what the film franchise captured that was most fascinating to him, and what he's proudest of. International Business Times: Did you realize the film potential of these these articles when you were writing them? Ken Li: I had no idea at all. I just thought it’d be a great story. I don’t know who found it, but people at the studios have people who read stuff and look for ideas. I assume they saw the story somewhere and thought it was cool. IBTimes: How did you feel when they got in touch with you? IBTimes: What did you get paid? Li: I've mentioned this before, but I was paid in the low six figures. I was ridiculed widely when I shot my mouth off and said I bought a car and stuff like that, stuff you’d say in your 20s. The figure wasn't life-changing, but it makes for great cocktail party banter. IBTimes: What was most fascinating for you about the story, and did the films manage to capture it? Li: I saw a lot of them, but not all of them. It [the franchise] got increasingly crazier when it went along: Cars were flying in the air and suddenly guys were bulkier and more oiled. And there were more guns, which I’d never really encountered. But at least for the first one, they really captured a couple things. For one, the look and the feel of the cars. And it captured the sense that it was a multicultural phenomenon. You don’t see a lot of minorities in film, and in that one [2001's "The Fast and the Furious"], they dominate. IBTimes: It must have been interesting for you, as an Asian-American man not into cars, to discover this world that was sort of headed by Asian-Americans on the West Coast. Li: Well, they didn’t invent car culture, of course. It’s so much a part of Americana. But they reinvented it by using different types, different tools, and the philosophy behind it was a lot different. Using smaller engines to make them more efficient. And the types of cars they were using were much different. On the West Coast, driving is an obvious rite of passage. On the East Coast, especially in New York, you don’t need to own a car or learn how to drive a car. So to see a culture around that, with kids who don’t have a lot of money spending every waking moment and every penny hooking up their cars, was fascinating to me and something I’d never seen. IBTimes: Why do you think it was a multicultural phenomenon? Li: For Asians, it had to do with the cars, something your friends or cousins still living in Japan might have been talking about. It was a huge thing in Japan and Hong Kong. They weren’t using Cameros and Mustangs, but Honda Civics, Acura Integras. That was a cool, new thing. You might have read about it in a magazine coming out of Japan or your cousin told you about it. I suspect that was a big part of it. A lot of things that start in Japan flow to Southeast Asia and across Asia. They’re tastemakers. The third film’s called "Tokyo Drift," and the whole idea of drifting was a Japanese concept of racing cars by floating around the track. IBTimes: Having that multiculturalism a core part of the story, for the franchise, must have helped the film become such a global phenomenon. Li: I was really happy that as the films went on, they tapped into Hispanic culture and Latino music, which wasn’t as prominent in the first film. It wasn’t until the fourth or fifth that you started really seeing more culture, more color playing a more prominent role in the films. That was prominent in my story, which was definitely about Dominicans. It wasn’t really even about Asians, but about the Dominicans in New York. IBTimes: Did the people you interviewed say anything about the films when they came out? Did you keep in touch? What are they up to now? What’s happened to Rafael Estevez? Li: I just saw him a week ago. He has a garage in Queens now. Vibe is doing a retrospective. One of the [characters] is based on him. So they put us together in the interview. I hadn’t seen him in 15 years. He pretty much stopped racing the year or two after I wrote about him. He opened a garage at the time and built that. The things they can do with the cars these days is absolutely incredible. At the time they were trying to make cars like a Honda Civic do a 10-second quarter mile, which means racing a quarter of a mile on a track in a certain amount of time which is a basic metric of car performance. Now I hear they can do 6 to 8 seconds, easy. Which is absolutely insane. I’m not sure a Ferrari can go 6 seconds. Li: It’s bats--- crazy how fast these cars can go now. IBTimes: What did he say about being the inspiration for these films? That must have been thrilling. Li: Fifteen years in? Maybe not so thrilling. Initally it was all a shock; it was weird and bizarre for me at the time. I found a good story. I got paid for it. Move on. And for it to turn into this crazy franchise is unbelievable. IBTimes: Did he get paid anything? Li: Eventually he did. He struck a deal with the studio at some point. IBTimes: Could you in your wildest imagination have envisioned the franchise lasting this long, or being this lucrative? Li: No. There are more "Fast and Furious" films than there are "Star Wars" films. Maybe not as many "Star Trek" films. But for something about cars, youth culture -- it's inconceivable that it would have been that big. IBTimes: Did this give you the Hollywood bug? Li: No. I ended up focusing on what I found to be far more fascinating stories at the time. During the dot-com boom, I was writing about technology and media. And even though everybody lost their jobs for a moment – a few of us a couple times – it remains the most fascinating thing for me. IBTimes: Are the "Fast and Furious" movies culturally resonant? Li: I can’t think of too many other things Asian-Americans have put their stamp on. Asians, yes -- Asian-Americans not really, so that's one cultural contribution I can think of. Most people don’t even associate it with that these days, but that’s where it began. You saw Asian-Americans in the first film. The director did a lot of great research out in Southern California and talked to the right people. A lot of Asian Americans showed them the scene because it was much bigger out there. If there’s one legacy I’m most proud of, it's that that community contributed to and played a role in that film. It was fulfilling. IBTimes: Is there a legacy you might not be too thrilled about? Was there a rise in urban street racing after the films came out? Li: After the first film, there were stories about street-racing deaths right after the movie came out. But kids have been racing the streets since James Dean, and probably before that. The allure of beating another dude is high among prepubescent teens! To an extent, the films do glorify that kind of thing. But there are disclaimers, and this is a work of fiction. It’s insane what they do in movies; they’re stuntmen. I don’t think kids are stupid. At one point they did PSAs (public service announcements), "Don’t do this on the street." It looks cool. Some kids are going to be morons, but there will be morons without the films. IBTimes: How did you feel hearing about Paul Walker's death? Li: Horrible. It was so random -- he wasn’t even driving. I heard that the car was notoriously twitchy. One of the things that came out after his death of was what a saint he was -- he bought someone’s wedding ring, for example. Nobody who wasn't close to him knew. IBTimes: Do you get invited to the premieres? Li: Not really. For whatever reason, probably they wanted to commemorate Paul Walker, reporters recently dug me up out of the archives. For the first film, I was a one-line credit in the press packet. But probably the best thing about this whole experience: My niece thinks I’m cool.